When diseased, biological processes within the body are altered and serve as hallmarks of the disorder. These characteristics make it possible to develop agents for the detection of the molecular signatures of the disease and the establishment of next-generation therapeutic strategies. My laboratory has two main focuses - molecular imaging and targeted drug delivery - each of which works in concert with the other. With chemistry as the basis of our research program, we develop targeted nanoagents capable of the delivery of drug entities in a tissue- and cell-specific manner. This allows us to probe molecular pathways and tease out the causative factors involved in disease onset and progression, the data from which may allow for the establishment of novel therapeutic paradigms. At the same time, we also generate materials for the non-invasive readout of processes related to pathologies of interest. These molecular imaging agents are capable of monitoring therapeutic efficacy in vivo, allowing for serial imaging and the extraction of the maximum amount of information from each animal used. Our highly collaborative, multi-disciplinary projects run the gamut from cardiovascular disease to pulmonary fibrosis to bone regeneration, as the technologies at their heart are amenable to almost any biological question. Generated platform technologies for the targeted delivery of small molecule drugs to specific cell types within diseased tissues, including myofibroblasts, cardiomyocytes, airway epithelium, and vascular endothelium. Created a novel near-infrared fluorogenic molecular probe of cytotoxic T lymphocyte activation capable of non-invasively reporting autoimmune activation, which is particularly useful in the examination of transplant rejection, as well as other disease including myocarditis. Dr. McCarthy began his career at Western New England College where he completed his B.S. in Chemistry in 1999. From there, he continued his studies at the University of Connecticut under the tutelage of Dr. Christian Brückner, focusing on the modification of porphyrinic chromophores. This work led to the discovery of previously unknown ring-fused chlorins and indaphyrins with unexpected photophysical properties. Upon the completion of his Ph.D. degree in Inorganic Chemistry in 2003, Dr. McCarthy joined the Center for Molecular Imaging Research at the Massachusetts General Hospital, under the direction of Dr. Ralph Weissleder, as a Ruth L. Kirschstein Institutional National Research Service Award T32 postdoctoral fellow. At the CMIR he was trained in nanomedicine and its application to biological systems, in addition to the molecular imaging that was the mainstay of the Center. In 2006, Dr. McCarthy was appointed as an Instructor in Radiology at Harvard Medical School and established his research group, which subsequently moved to the Center for Systems Biology at the MGH in 2007, where he was promoted to Assistant Professor of Radiology in 2010. Over the past decade the research focus of his group has become much more diverse, including the generation of imaging agents for the detection of molecular processes in the in vivo environment, and the delivery of drug moieties in a cell-specific manner. 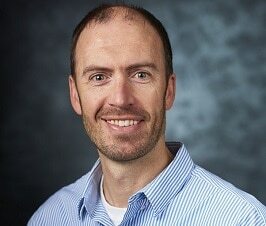 The multidisciplinary nature of this research led Dr. McCarthy to the Masonic Medical Research Institute in 2018 as an Associate Professor of Cardiovascular Medicine and the Scientific Operations Manager for the Institute, where his group aims to push the boundaries of nanomedicine, potentiating novel treatment options for an untold number of diseases. Stein-Merlob AF; Hara T; McCarthy JR; Mauskapf A; Hamilton JA; Ntziachristos V; Libby P; Jaffer FA, 2017. Atheroma Susceptible to Thrombosis Exhibit Impaired Endothelial Permeability In Vivo as Assessed by Nanoparticle-Based Fluorescence Molecular Imaging. Circ Cardiovasc Imaging 10.